Disbursements generate owner and creditor statements through Send Assist. To regenerate statements at a later date follow these steps. 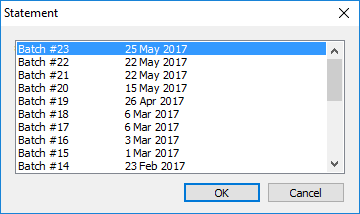 Click Yes to remove all statements. This ensures only the batch you require is reprinted. Go back to the main menu, click Reports then Statement. Then select which batch of statements (A batch is when you complete a disbursement) to generate. 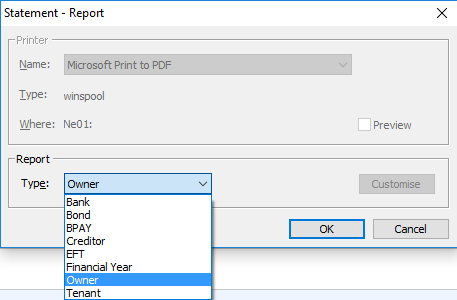 Send Assist reloads with the statements for printing or emailing.